Why make a sailing bag like this? Very simply, I had to. Now, I think it's one of the best pieces of sailing gear on the market. Let me explain. I knew what I wanted. 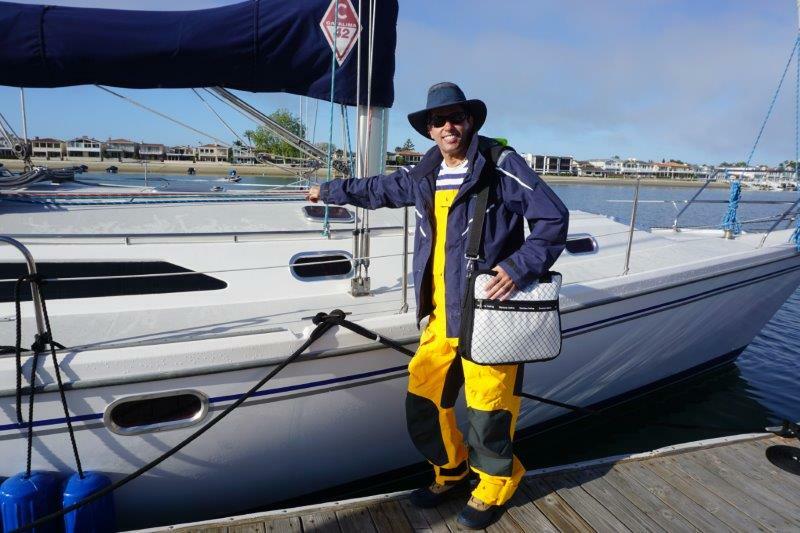 I’m a cruising instructor, I run numerous sailing trips, and I’m on the water a couple of hundred days a year. My backpack didn't cut it– too many deep pockets where stuff just disappeared at the bottom. An open top "tote" would let my gear spill out. The laptop case made of sailcloth wasn’t anywhere near tough enough. The duffel bags were too big, and the dry-bag styles were just open holes where your gear became a jumbled mess at the bottom. I went to the local North Sails loft to see if they could build me one, and they said that while they could, it would take a while and it would be really expensive. The local Doyle loft said essentially the same thing. I turned to Mickey Parrott, of Parrott Canvas in Greenville, NC, and he said he could do it. I knew right then I had to bring it to market. I hope you appreciate your Santana Mariners Bag and enjoy it for years and years to come. Please send me a note and tell me how you are using it and where it's been so I can add to the blog!